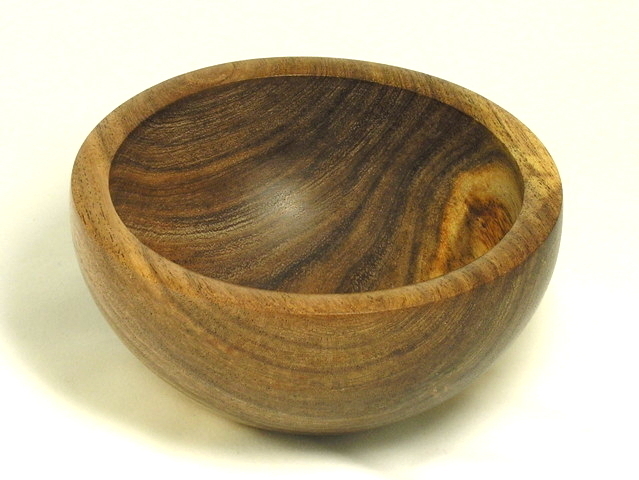 Bowls - assorted : No Skew Turns, Gifts handcrafted from the world's beautiful woods. 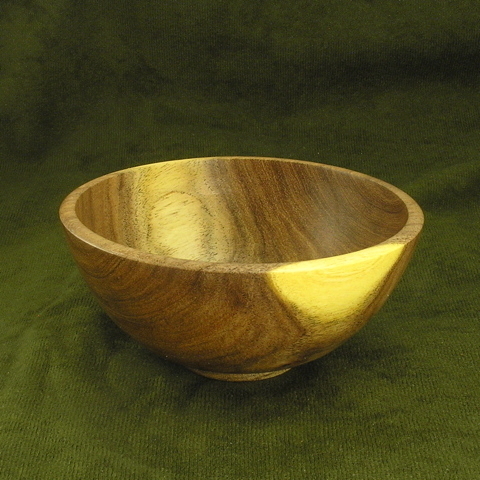 Here are bowls large and small, utilitarian and decorative. 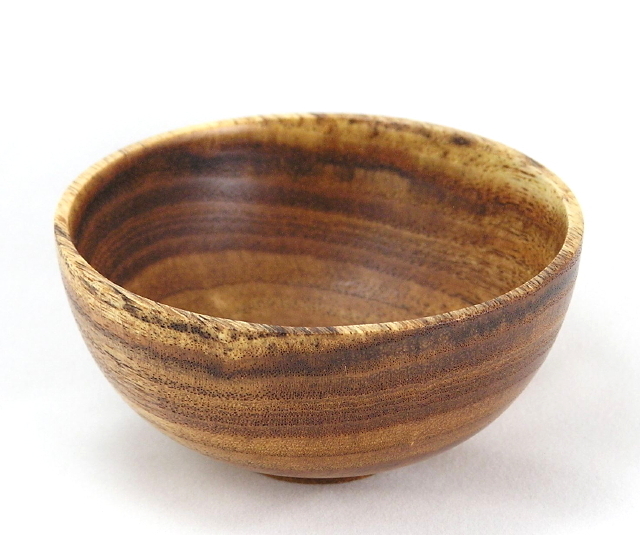 Remember that with proper care, wooden bowls can be used for food as well as for decoration. 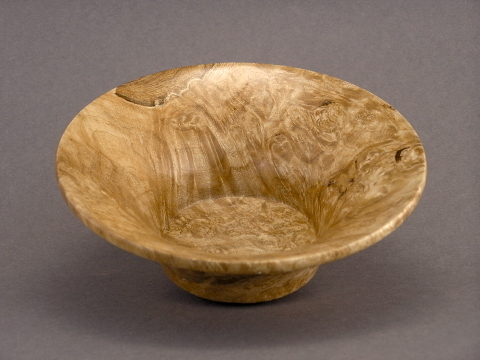 After all, people have been eating off of/out of wooden plates and bowls for thousands of years! 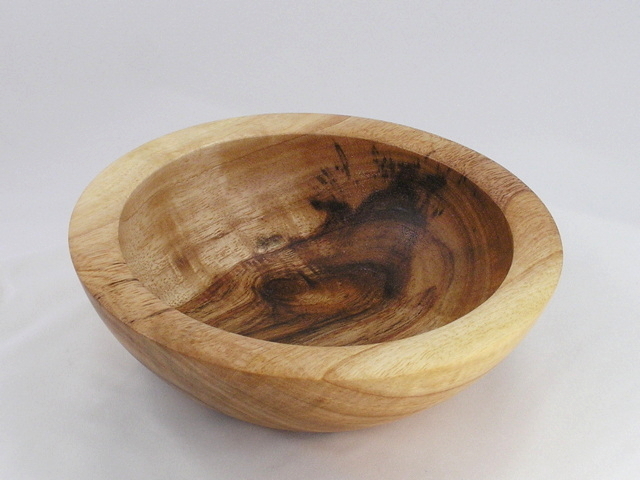 Clean your wooden bowls as soon as practical after use. 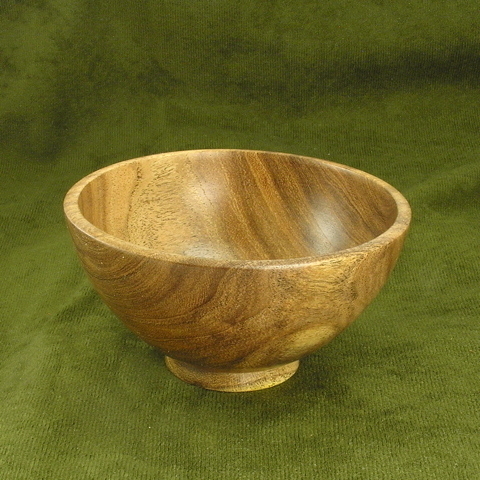 Don't allow moist or liquid food to dry out in the bowl, or it will be very hard to clean. 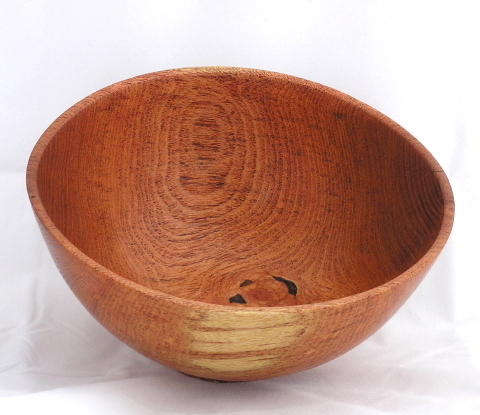 Wash your wooden bowl by hand with dish soap and warm water, using a cloth or sponge. Rinse quickly but thoroughly, then towel dry and allow it to air dry before storing. Do NOT allow the bowl to soak or stand in water. 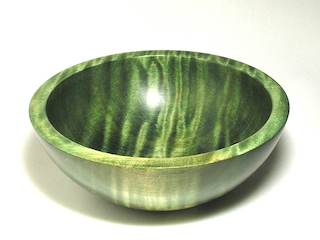 And NEVER put a wooden bowl, plate, or platter in the dishwasher.